If there are multiple people at your company who must weigh in on whether a candidate is a good hire or not, it can take a long time for everyone conduct their own individual interview. The hiring process will stretch out longer if you conduct individual interviews, and productivity of current staff will be impeded as everyone takes time out of their day to meet with a candidate. If you conduct a group interview, everyone comes together at once and gets the interviewing process done much more speedily. Allowing more people to meet potential candidates. Multiple people in your company will be able to get to know a candidate and get their questions answered at the same time. While it might be impractical to have a candidate go through a half dozen or more interviews just to meet everyone, you can have many stakeholders in a single interview. This way, everyone who needs to meet the candidate gets an opportunity to do so without making the interviewing process so cumbersome for candidates that no one wants to work at your organization. Getting more diverse opinions and perspectives. 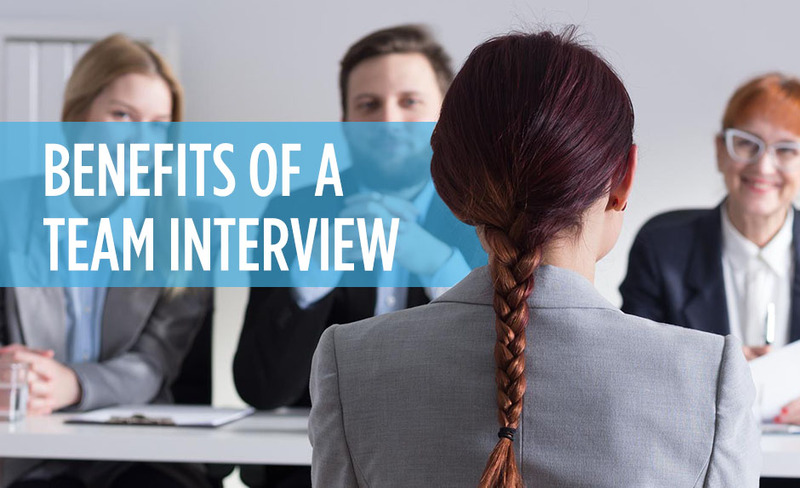 The more people who interview a candidate, the more likely it is someone conducting the interview will pick up key details about the job seeker that a single interviewer might have missed amidst the flood of information an interview can provide. Varying interview styles keep the potential candidate on their toes. Candidates will be better able to show off their skills and abilities at thinking on their feet if they are asked different types and styles of questions from a diverse group of interviewers. When you conduct team interviews, it is especially important the candidate be someone your company is seriously considering so you don't waste the time of staff members. Eastridge Workforce Solutions can help you to find skilled workers who are a good fit for your company so your team doesn't waste time interviewing the wrong candidates. Give our staffing service a call today to learn more about how we can help with your hiring.